The X-15R spins up to three liters of sample at an industry-leading 5,250 x g, with a robust refrigeration system that cools from ambient to 4C in less than 4 minutes – over 10 minutes faster than other three liter centrifuges. Save even more time with optional ARIES rotor technology that accepts up to 50 grams (effectively one tube!) of rotor imbalance, allowing you to eye-balance your samples with confidence. 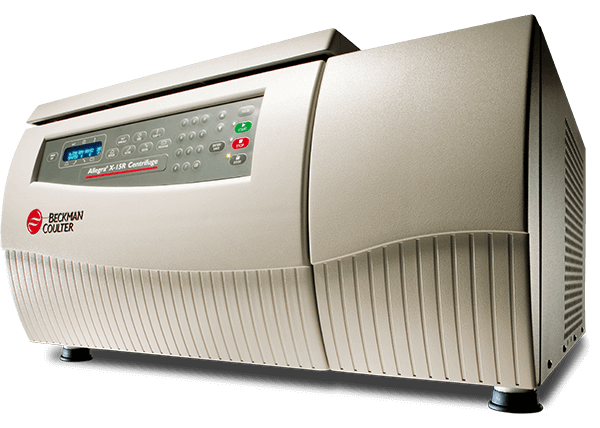 The X-15R is the ideal choice for all your cellular separation applications.